Heating season isn’t quite here yet, however, we want to help you prepare and save today! This promotion is on-line and In-store. What that means is, whether you grab the coupon on any of the branded website, or ask your sales representative in-store! 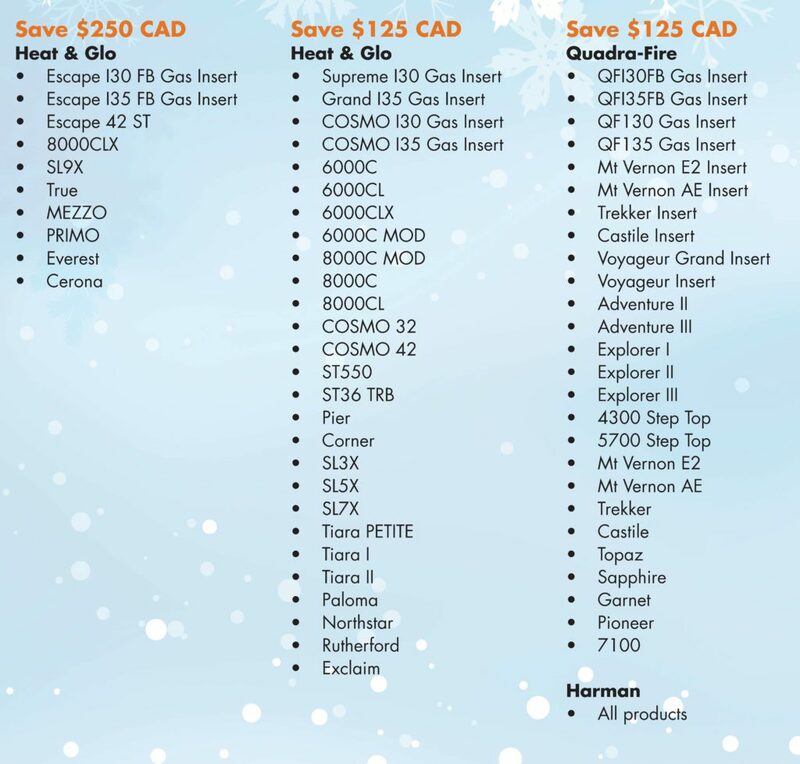 Below you will find a list of eligible products along with how much you can save. Be sure to click on our ‘dealer locator’ at the top right side of this page to find the closest dealer near you!